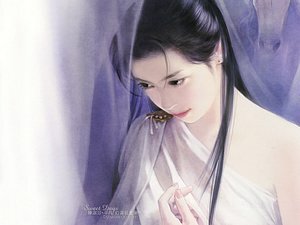 Chen Shufen and Common (Ping Fan) are famous Taiwanese illustrators. When you pick up a romance novel in Taiwan, it is very likely that the cover art is done by either one of them. This husband-and-wife team never ceases to amaze the eye of the beholder!